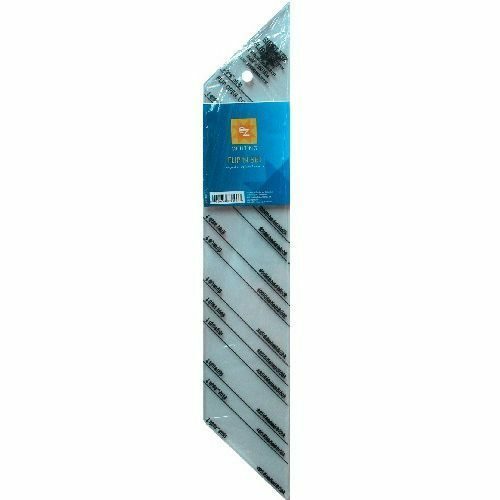 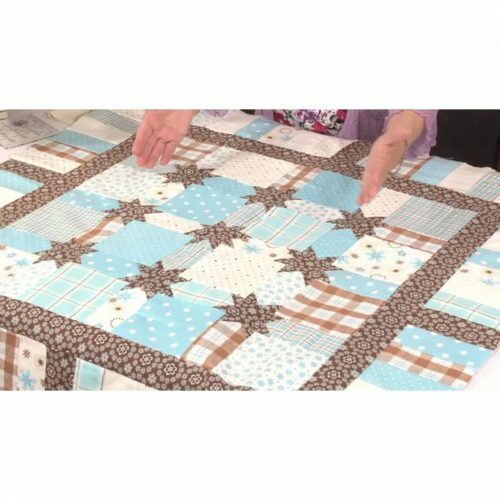 The Shoo fly addition gives interest to the sashing, and takes very little extra effort. 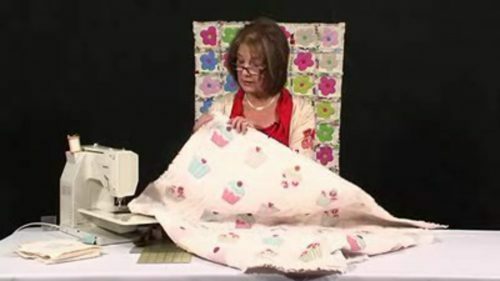 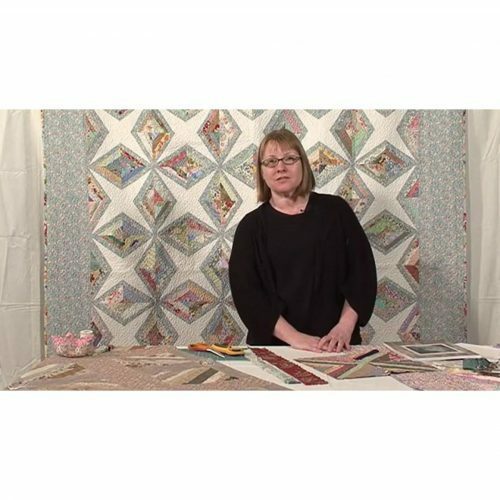 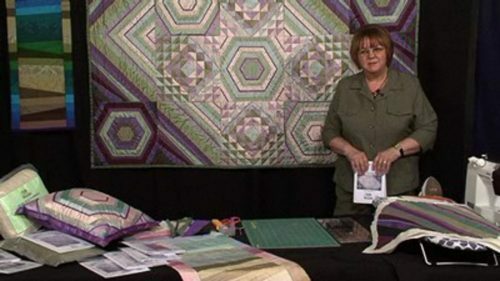 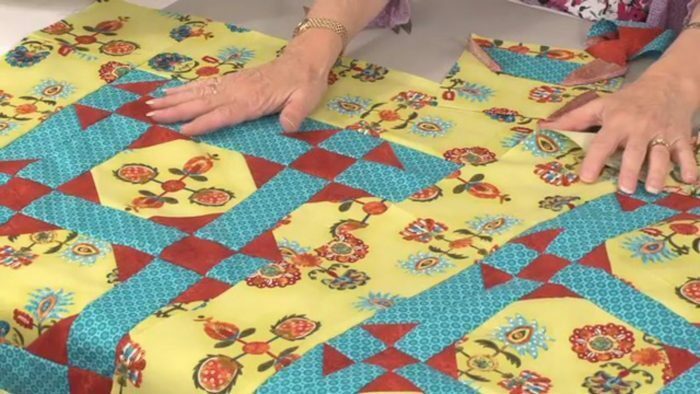 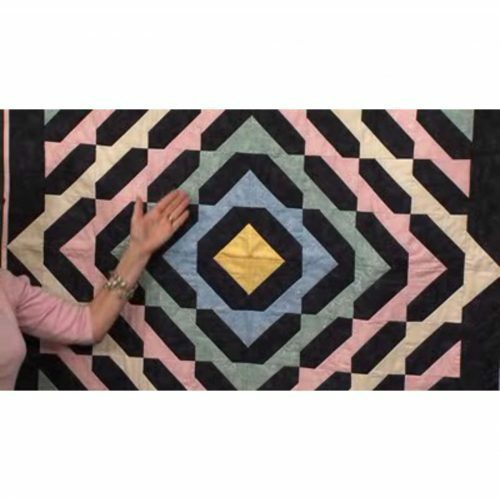 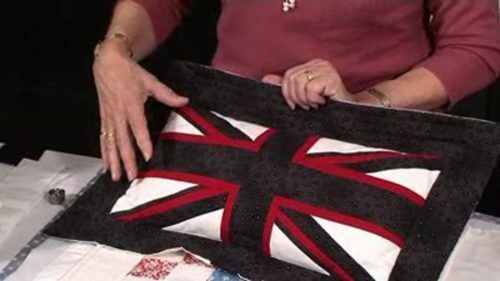 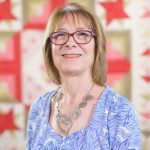 Feature fabric is just that – and it can seem such a shame to cut it up into little pieces; well in this workshop Valerie keeps the squares to a reasonable size (but you could readjust to even bigger!) 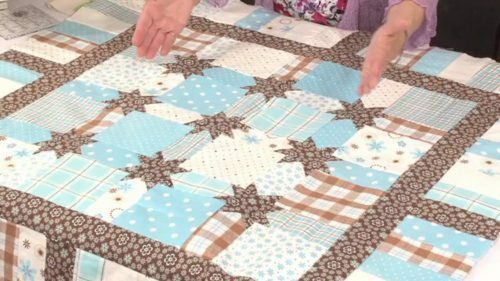 and combines the simple stitch ‘n flip snowball with a shoo fly setting in the sashing and border which is again simple to do. 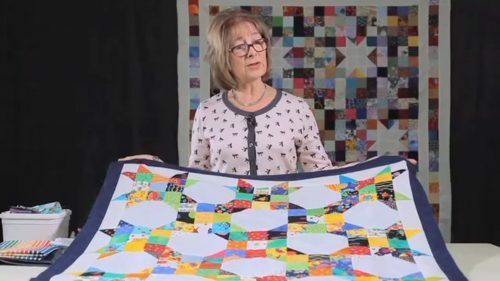 A possible note of warning from Valerie – she has found this pattern particularly addictive and can confirm that it works well with jazzy children’s fabrics too.